Very early Prestwick Airport images - when it was known as "The Meadows" Monkton. These early images were taken by James B. Aird, (1910 - 1973) my Dad, when he was 24, with his box Brownie camera in 1934 - 1938. He grew up in Prestwick and lived on Saunterne Avenue. Schooled at Ayr Academy. He was mostly interested in railways, and was very active in several Societies in UK and US. His archives are in the Mitchell Library, Glasgow. His only connection with aviation was during WWII when he worked on Short Sunderland flying boats being constructed at the Blackburn Aircraft Works, Dumbarton. He served in the Home Guard as well during that period. 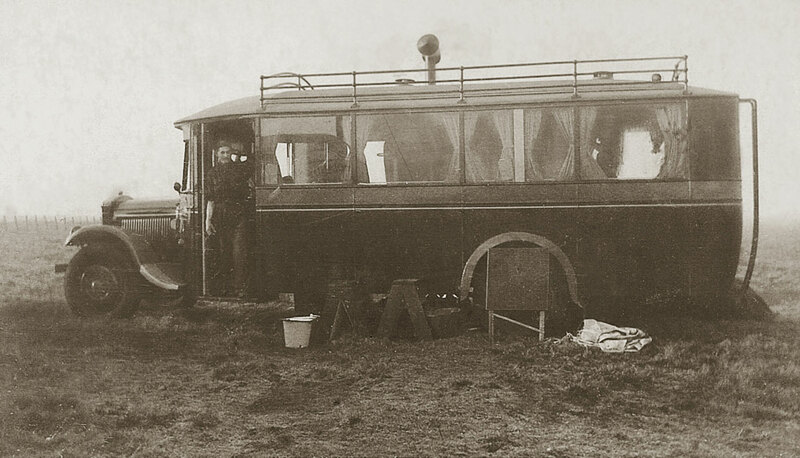 He spoke on occasion on BBC radio and wrote many articles on locomotives/railways, as he was a "Locomotive Engineer", meaning that he inspected steam engines when they were newly made. In 1949 he worked in Chester, Pennsylvania, inspecting Steam Locomotives ordered by the Indian Government from the Baldwin Locomotive Works. My mother and I joined him there, travelling to the United States on the Cunard - White Star Line's R.M.S Queen Mary. My Dad had travelled three months earlier leaving from Southampton on the R.M.S Queen Elizabeth. G-ADWA de Havilland DH.82A Tiger Moth (3444) with four others at Monkton. Circa 1934. Prestwick's first airport 1934. Converted Reo bus belonging to the Midland Scottish Air Ferries at the "Meadow", Monkton. Ground Engineer in the door-way. 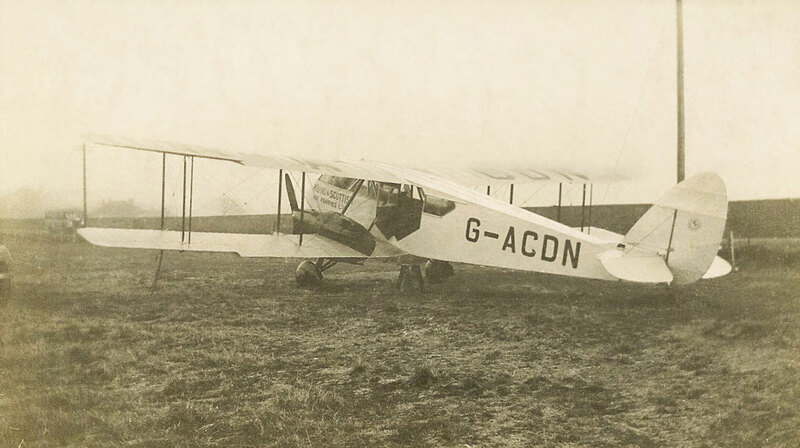 G-ACDN deHavilland DH.84 Dragon (6018) of Midland & Scottish Air Ferries Ltd. Regd 29 May 1933. 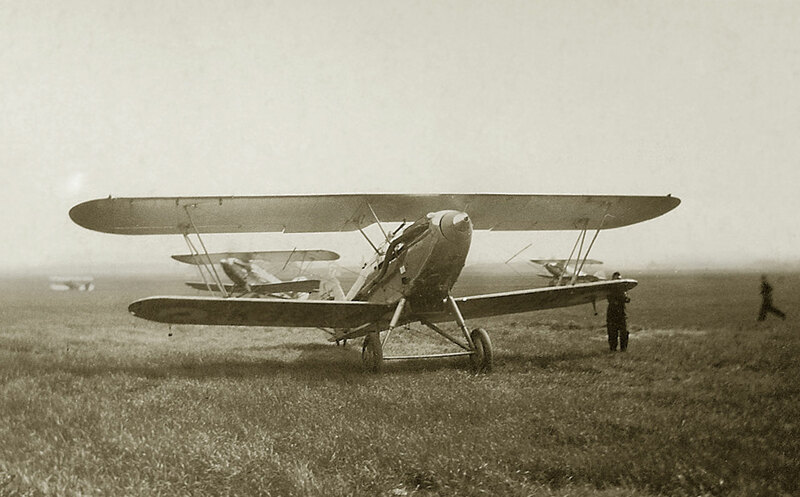 My Dad wrote on back of photograph; "De Havilland twin engined bi-plane at the "Meadow", Monkton 1934. The first plane sent down was damaged by cattle". A flurry of activity as three Hawker Demon aircraft of the RAF arrive back at base. Royal Air Force Hawker Demon K4543 parked on the north side of the current Prestwick Airport, just south of the village of at Monkton, with many others. I received this informative e-mail on January 20th, 2010 from my pal Tom Macfadyen, now resident in Spain. many thanks Tom! The Meadows was the name given to the field on the east side of the railway line between Monkton railway station and Station Road, Monkton. 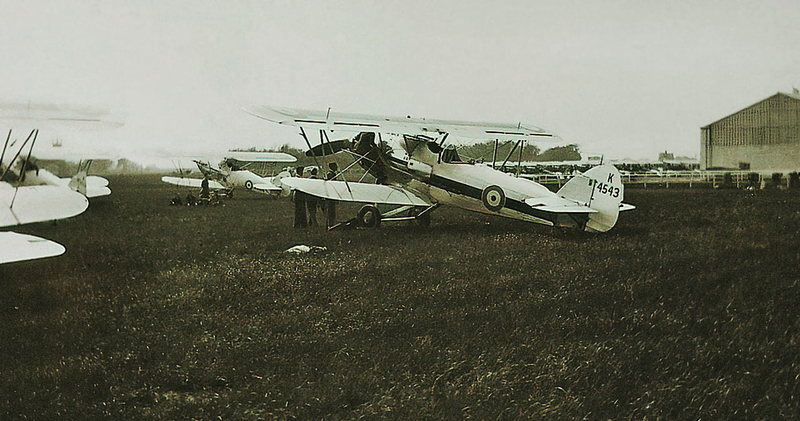 G-ADWA TigerMoth II was registered on 9 Dec 1935 and was one of the first batch of Tigers delivered for the opening of the Airfield on 12 January 1936. It received its CoA on 8 January 1936 and was delivered to Prestwick on or around that date. I would suggest that this photo dates to 1936 but not later than early 1937. By lining up the hedges and the Shaw Monument on the original airfield plans I would suggest that the photo is taken from in front of the corner of the Tiger Hangar. G-ADBF Miles Falcon this photo is taken nearer to the terminal than the one of G-ACDN. Note the chimney of the Prestwick Laundry in Berelands Road and the new houses in the Newdykes aera. The Bus must have been there for diversions from Renfrew as this was one of the main uses of the `The Meadows' and has to predate the airfield and it is pre 1935. G-ACDN DH-84 the date for this one is almost definitely 1934. Note what is probably the front of the above bus in this photo and the service bus coming down Station Road. The Three Hawker Demons arriving are from 41 Squadron and the event is probably the Empire Air Day 1938. K4543 Hawker Demon this seems to be one of the above three Demons and is in the colours of 41 Squadron which was based at RAF Catterick and again the photo is most likely to have been taken at the 1938 Empire Air Display. Note the wing of another Demon to the left of K4543 and what looks to be two Hawker Hind Trainers (probably from the SAL run 12 ERFTS) in front and to the left of the Demons. The gable end of the building is the Tiger Hanger before the Fokker Hangar was built in 1939 and the public enclosure (the white wooden fenced area) is visible this side of the hangar. There is the normal line of SAL 12 ERFTS Tiger Moths lined up in front of the Tiger Hangar. Thanks for posting these photos – Fantastic.